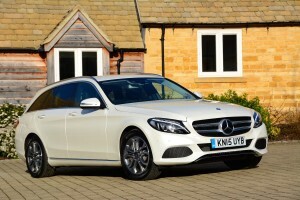 Our guide to the most economical and lowest emission estate cars on sale in the UK today. 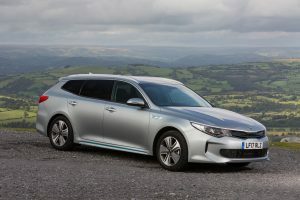 We list our top green diesel, petrol and hybrid estate cars as ranked by the Green Car Guide team after road testing and comparisons of fuel economy and emissions data. All reviews are independent and follow the same testing regime. The Peugeot 308 SW offers space, efficiency, and is even decent to drive. Just make sure you can see the controversially placed instrument binnacle, you have been warned! The Astra Sports Tourer is a good bet if you are on a budget and need maximum fuel efficiency. The Focus Estate combines the rare qualities of being very efficient and fun to drive. As long as you can live with the smallish boot, it’s a great buy. The Toyota Auris Touring Sports looks good, is very economical if you drive carefully, and even has a decent boot capacity. 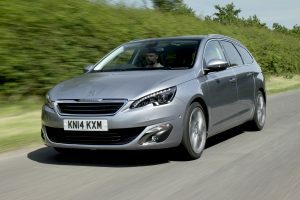 The Peugeot 308 SW is an impressive all rounder. Picking between diesel and petrol variants will largely come down to annual mileage and load lugging requirements. Unless you plan to do a lot of either, the 1.2 petrol unit makes more sense than the extremely efficient but more expensive diesel. Keenly priced with a sensible boot and the option of 4G connectivity, the Astra Sports Tourer does have merit. Unfortunately it still doesn’t offer anything for keen drivers. 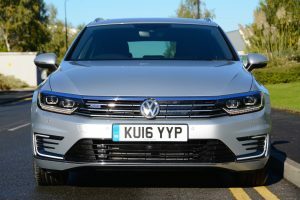 Volkswagen’s big estate combines a good electric range of up to 31 miles with a fuel efficient turbo petrol engine that delivers excellent fuel consumption in hybrid mode. 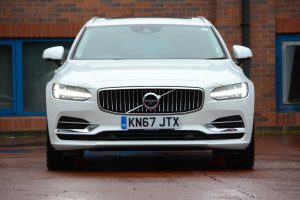 Stylish, very well screwed together, and with bags of room, the V90 is a great premium estate car. With the addition of Volvo’s excellent plug-in hybrid system it is even better. The C-Class Estate is a class act, but the batteries do eat into the boot space and the electric range is limited so it isn’t perfect.